In older Windows versions, uninstalling program wasn’t so easy. You need to follow a few steps to get this task done. But, in case of Windows 10, uninstalling apps/ programs is much simpler. 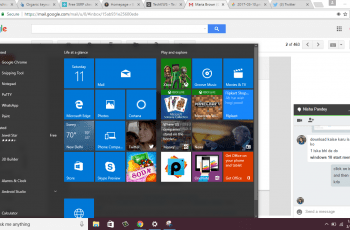 Want to know how to uninstall programs/ apps on Windows 10? Let’s have a look on following three ways to get this task done. Let’s get in details to know more! Yes! 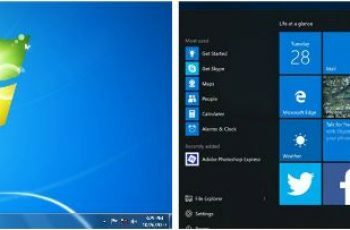 You can easily uninstall windows 10 apps/ programs directly from the Start Menu. In order to do this, click on Start > All apps, and then find the desired program or app that you are willing to uninstall. Now, select your program/ app after right clicking it, and then click on Uninstall available on the drop-down list. 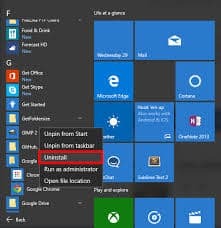 In case, you won’t be able to see Uninstall option in the dropdown menu, then follow given steps to uninstall programs windows 10. Now, you will see above dialog box in front of your screen. Just click on the Uninstall button in order to accomplish the process of uninstallation. In order to continue windows 10 uninstall apps procedure, you first need to uninstall your desired app from the program list. As soon as you get your app that you are willing to uninstall, simply select the app, and then click on the Uninstall button. This will open a dialog window in front of you asking for your conformation to accomplish windows 10 uninstall apps procedure. Here, you just need to click on the Yes tab to continue further. Thus, as per your program/ app selection, you are required to refer an uninstall wizard prior the process of uninstallation accomplishes. Apart from this, you can also uninstall apps/ programs from your Setting menu. Go through the given section in order to get in depth of how to uninstall apps on windows 10 from Setting Menu. In case, you aren’t able to reach the program/ app that you are willing to install from the Start menu of your Windows 10, then don’t worry. You can still install them from your Setting Menu. First, just go through Start>>Settings in order to open your Windows 10 setting menu, and then follow the given steps as instructed to complete the process of uninstallation. Go to System, and then click on the Apps & features option. Here, you will come across a long list of apps/ programs that you installed on your system, sorted in accordance to their size. Note: If you want, you can use search box that’s made available on the top of your screen to find out your apps/ programs. However, you can also resort the list by means of install date/ name. Find apps/ programs that you are willing to uninstall, click it, and then click Uninstall. You can download your programs/ apps directly from Windows Control Panel. In order to get this task done, follow given steps appropriately. Click the program/ app that you are willing to uninstall. Now, click on the Uninstall after selecting it. Now, you can easily uninstall your apps/ programs from Windows 10. In case, you still have any query then feel free to write us anytime. We are always there to help you out!If you like it, then don’t forget to share it.